the ship is gently swaying, rolling in the gentle waves that lap against the wooden sides. a salty breeze sprays your face and the gulls overhead soar and glide between the billowing sails. There's a captivating voice singing in the distance as you look off towards the rocky Edie jutting off from a far off shore. 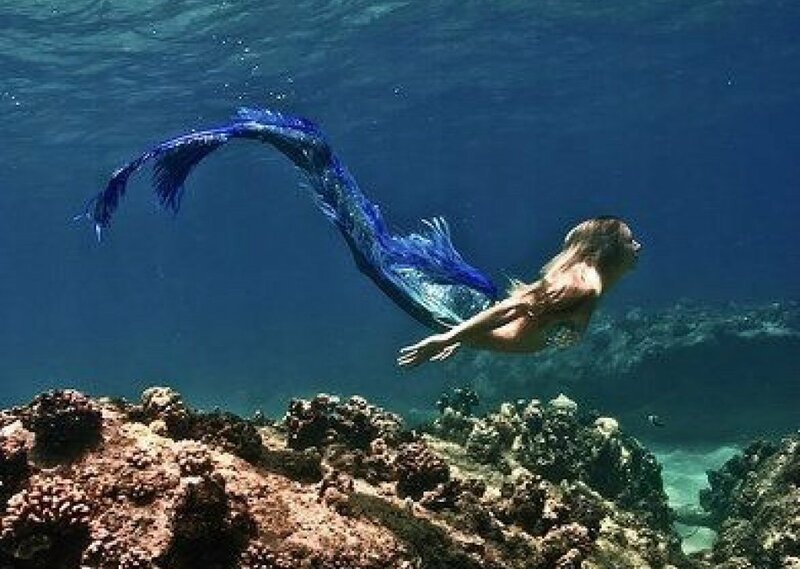 a beautiful woman with long flowing hair slides from the rocks and into the blue waters, you could have sworn you saw a shimmering tail. you watch, captivated, until she swims closer. breaking the surface of the water and smiling up at you. her face and body adorned in seashells and starfish. her jewel colored tail gently swaying, working against the current. License details for "siren song"